We let you know about the update and return of the PHLster City Special a few weeks ago and, now, the time has come. They are now available to purchase and shipping from the PHLster website. 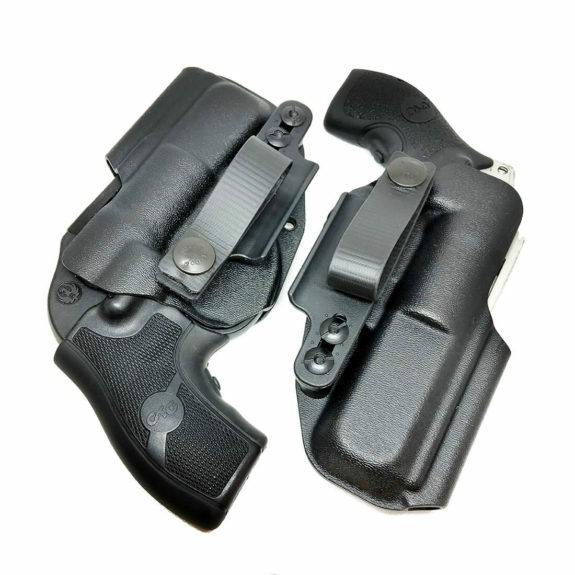 This AIWB holster is designed with revolver specific details. It is available for the S&W J-Frame and, new for this updated version, the Ruger LCR. Both versions are compatible with Crimson Trace Laser Grips and feature mold elements near the muzzle end which help prevent the grip from pushing outward. The City Special also utilizes the PHLster TuckStrut belt hardware which provides a tuckable, IWB soft loop as well as a strut/claw that turns the grip of the gun in toward the wearer for improved concealment. The biggest news is that both version also feature PHLster’s clever reload cut. This cut allows the user to wedge the revolver into the holster with the cylinder held open to facility a one handed reload. This was one of the most innovative features of the original City Special and it is nice to see it retained on the new version.